Baltimore–Whiteford Taylor & Preston announced today that Joseph R. “Ricky” Lefft has joined the firm. A leading sports law attorney, Mr. Lefft has over 30 years of experience advising professional athletes, coaches and athletic administrators on their professional and personal business matters. His clients have included Coaches Tubby Smith, Frank Haith, Bobby Lutz, Rod Barnes, Kevin Ollie, Cy Alexander, Todd Bozeman, Audra Smith, Natasha Adair, Kia Damon-Olson, Joe Taylor, John Hendrick and Buddy Pough; athletic administrators such as Danny Morrison, Damon Evans, Arthur Johnson, and Gerald Harrison, Jr.; and professional athletes in the National Football League including Richard Seymour, Robert Porcher, Albert Haynesworth, John Abraham, Dre’ Bly and Kevin Burnett, among others. Mr. Lefft has extensive experience negotiating and enforcing coaches’ and athletic administrator’s employment agreements with universities, colleges and professional teams, as well as with commercial transactions associated with coaches’ and players’ marketing and advertising endeavors. He represents coaches and athletes on NCAA compliance and disciplinary matters and advises educational institutions on negotiation of product and apparel deals, as well as on Title IX sexual harassment issues and employment agreements. Mr. Lefft is an active member of the Sports Lawyers Association and was a sports law professor at the University of South Carolina in the Department of Sport and Entertainment Management for 14 years. 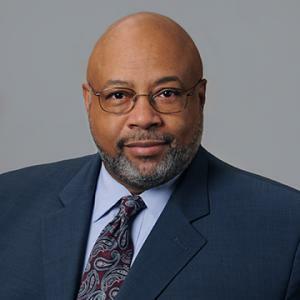 He is a founder of and current legal counsel to the National Association for Coaching Equity and Development (NAFCED), an advocacy and professional development organization focused on enhancing opportunities for racial and ethnic minority coaches and student athletes. About Whiteford, Taylor & Preston LLP: With over 170 attorneys, Whiteford, Taylor & Preston provides a comprehensive range of sophisticated, cost-effective business law and litigation services to clients ranging from innovative start-ups to middle market companies to global enterprises. Its growing Mid-Atlantic footprint includes sixteen offices in Delaware, D.C., Kentucky, Maryland, Michigan, New York, Pennsylvania and Virginia.